Joewell Scissors are some of the most popular professional hair scissors in the UK. Joewell has gained a reputation for hairdressing scissors that are both long lasting and high quality. Popular items in the Joewell range include the Joewell Classic and the Joewell Classic pink. Manufactured by hand from the finest quality materials, Joewell Scissors have been found by hairdressers and barbers to last longer, cut better and perform exceptionally well, cut after cut. At Direct Hairdressing Scissors we have been selling Joewell Scissors to hairdressers and barbers since 2005 and we have considerable experience on advising customers on the most suitable products to fit their requirements. 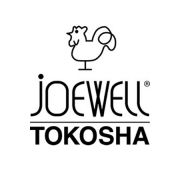 To discuss any of the products in the Joewell range, call us on 01270 630280. Our office hours are Monday to Thursday between 9am & 5pm or Friday between 9am & 3pm. Our help team will be happy to give you advice and assistance. View our full range of Japanese Hairdressing Scissors.